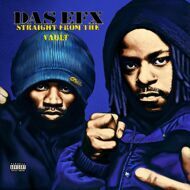 Smoke On Records brings us another heavyweight release by Das EFX after the great success of the “Dead Serious 25th Anniversary Edition”. This time Smoke On Records digs deep and presents tracks “Straight From The Vault”. The limited LP also includes 3 bonus tracks.